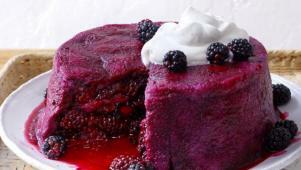 Let blackberries steal the show with these heavenly sweet berry recipes. 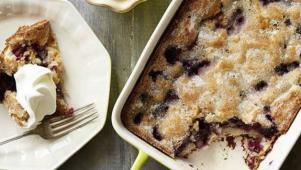 Served up with a scoop of ice cream, there might be nothing better than this warm cobbler. 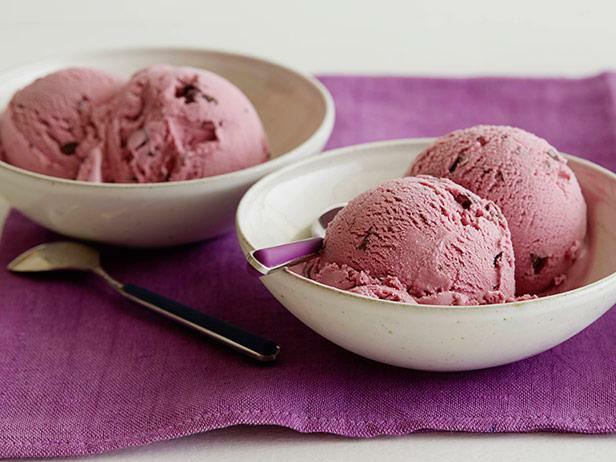 Whip up a batch of this sweet treat for the fresh taste of blackberries mixed with the crunch of chocolate chunks. 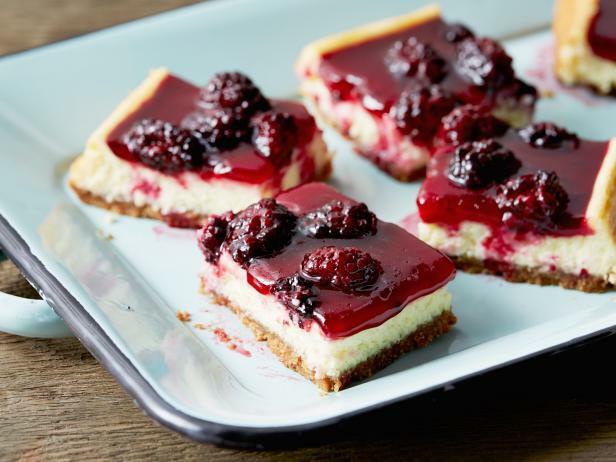 These blackberry cheesecake squares are just the right amount of decadent. Serve them for dessert tonight! 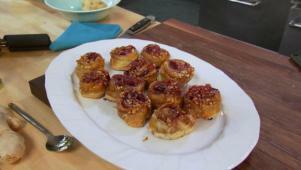 Blackberry hazelnut sticky buns are a delicious addition to Bobby's brunch. 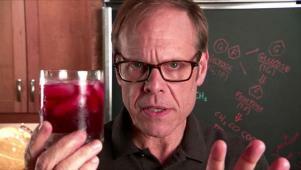 This dessert makes an artistic impression with a swirl of blackberry puree. 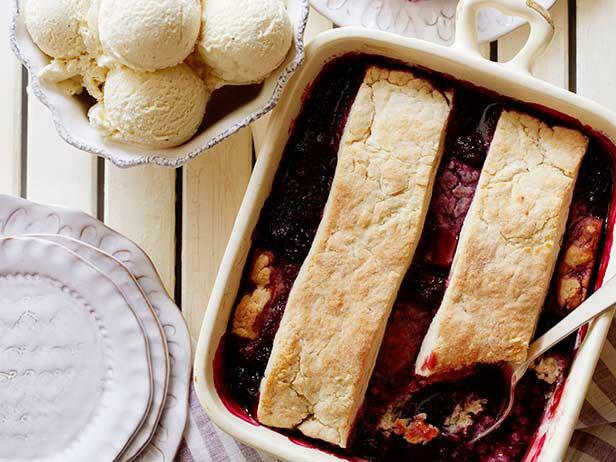 Learn how to make a simple Blackberry Cobbler for a scrumptious dessert. A patriotic trio of color lies beneath this beautifully toasted meringue. This layered dessert is perfect to make at the peak of blackberry season. 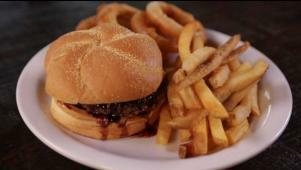 Blackwell's Pub stays local with blackberry jam on a PB and J burger. 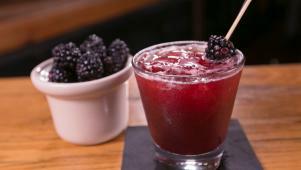 Learn how Birmingham blackberries sweeten local dishes and drinks. Two teen chefs come down to the wire with their chocolatey dessert dishes.